of protection for a competitive price. moisture buildup inside the treated material. better penetration, even into dense materials such as granite. and crevices (better mechanical bonds). surface are better arrayed for superior adhesion. to the surface where it might cause visible damage. repellence, providing superior stain protection. determine the ease of application and desired results. 3. 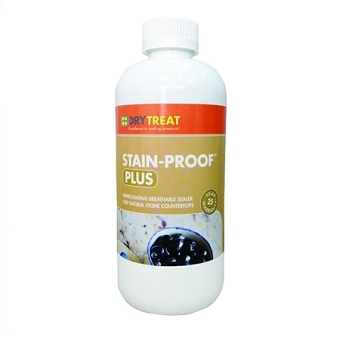 Ensure surfaces to be treated are clean, dry and free of residues. second coat while the first coat is still wet. 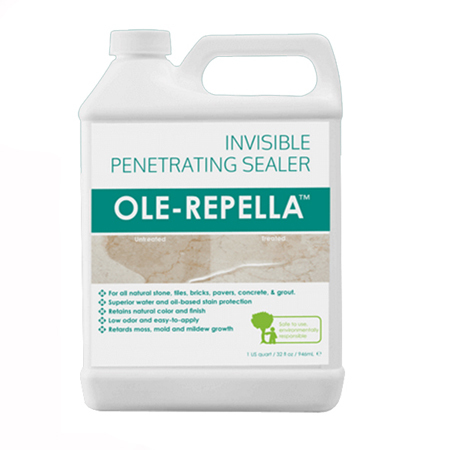 moistened with Ole-Repella™ to ease polishing. 6. Total application rate is approximately 1 quart per 20 to 100 sq.ft. 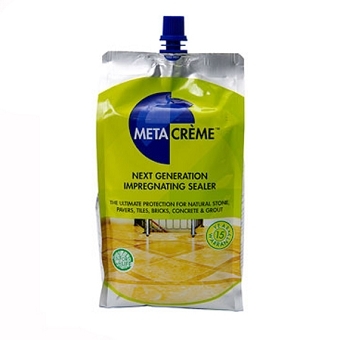 or 1 litre per 2 to 10 square metres depending on surface absorption. 7. Clean equipment with water. MAY LIGHTEN OR DARKEN SOME SURFACES. 1. Do not take internally. 2. Apply when surface temperature is between 5 - 35°C (40 - 95°F). 4. 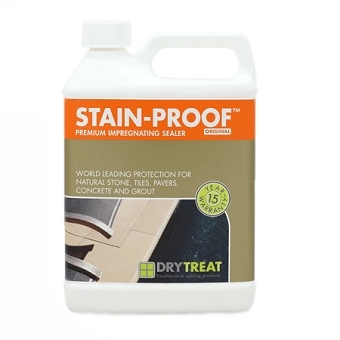 Protect surrounding areas from over-spray. 5. Keep away from drains, plants, water and soil. 7. Avoid applying in windy conditions. 8. Wash hands thoroughly after applying.